The serious business of democracy is not without its moments of mirth, as the process of the parliamentary elections showed on Sunday. ­Spanning nine time zones and some of the coldest real estate the world has to offer, Russia presents its own unique challenges and opportunities for locals to participate in their own special ways during election time. In the far-flung Siberian city of Barnaul, ten members of the ice-water plunging and winter marathon swimming Polar Bears’ Club have braved Arctic temperatures to cast their ballots in snug-fitting swim suits. This is the second time the group, known as the Altai walruses, have organized such an election-day rally. "I want to make it a tradition. 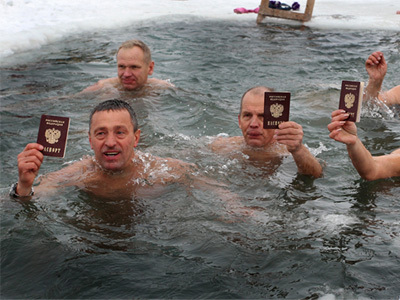 Despite the fact that it’s minus 9 degrees (Celsius) today, it’s really a unique opportunity, as everyone is coming in their hats and coats, while we are showing up in our swimming trunks and bathing suits,” Aleksandr Zelenetsky, the president of the association, told RIA Novosti news agency. Tickets for a raffle, which could be drawn from locations near polling stations throughout the city, promised hundreds of thousands of prizes to residents who made it out to the polls on Sunday. As well as household appliances, cars and even apartments were on the cards for a few lucky voters. Meanwhile, some 120 miles south of Moscow in the region of Tula, a local confection was used to spice up the day. For hundreds of years, Tula has been renowned for its gingerbread. In keeping with local tradition, some ballot boxes were fashioned from the delectable treat and offered out to members of the voting public. 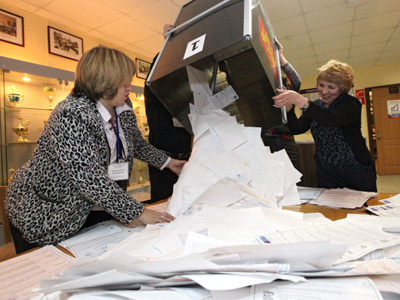 For one foreign observer, the temptation was too hard to resist, as he decided to break off a piece to get a real taste of the Russian elections. And while the box is viewed as a souvenir, the head of the Central Election Commission (CEC) said it could be used in an official capacity if necessary and then eaten, provided there were no ballots left inside. 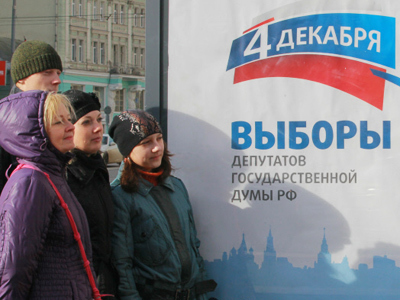 Though Tula residents might not be crossing their fingers for samovars, southwest of Moscow on the banks of the Oka River, Kaluga residents were enticed to the polls via a lottery which promised a new car as the grand prize. As accordions filled the air to create a festive atmosphere, outside some polling stations across the city voters have been given coupons for discount chain stores, as well as the opportunity to sign up for a raffle that will see the winner receive an economy line VAZ-2017 car. The draw will be held on December 8. And as in Tula, the prize is reflective of the city’s character, as Kaluga has become one of the centers of the Russian automotive industry in recent years, with several foreign companies currently operating plants in the area. 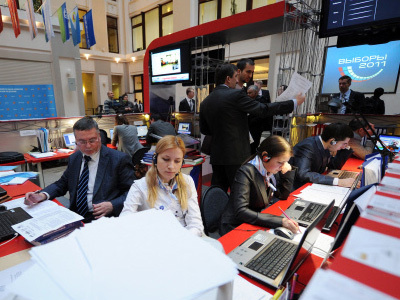 However, while authorities around the country tried their best to make the Duma elections a memorable occasion, an unexpected call from a disgruntled citizen to the Civil Control voting rights protection hotline certainly perked everyone’s ears up an inch or two. 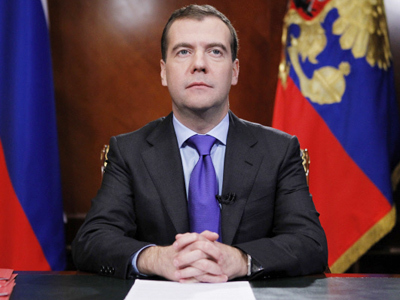 The man, who identified himself as Monomakh Dolgoruky – possibly in homage to Moscow’s late and great founder – demanded an absentee ballot, lest he be forced “to dismiss everyone, including members of the Central Election Commission.” Taking all complaints from the Russian electorate with the utmost respect, the association has promised to look into his claim in due course.